Peoria, IL (October 17, 2013)— The Board of Directors of the Peoria Area Chamber of Commerce has begun the search for filling the Chamber President position, retaining Waverly Partners, LLC as its executive search firm. Board Chair Brent Eichelberger of Commerce Bank will head a 6-member search committee that will work with Greater Peoria Business Alliance CEO Cal MacKay and Waverly Partners to identify qualified local, regional and national candidates. The position profile is available here. Roberta Parks, the Chamber’s previous President, resigned in June after 25 years of service to accept a position with UnityPoint Health-Methodist Foundation. Mary Ardapple is currently serving as Chamber Interim President. For more information about the search, contact search consultant Eric Peterson at Peoria@Waverly-Partners.com; all inquiries will be held in confidence. 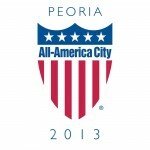 For more information, visit www.peoriachamber.org or call (309) 495-5974.